written as fiction for readers of all ages, but in recent decades has been considered a children's book. Montgomery found her inspiration for the book in a newspaper article describing a couple that was mistakenly sent an orphan girl instead of a boy, yet decided to keep her. Montgomery also drew upon her own childhood experiences in rural Prince Edward Island. 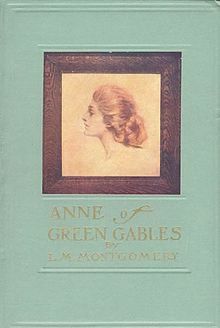 Montgomery used a photograph of Evelyn Nesbit, clipped from an American magazine and pasted on the wall above her writing desk, as the model for Anne Shirley, the book's protagonist.